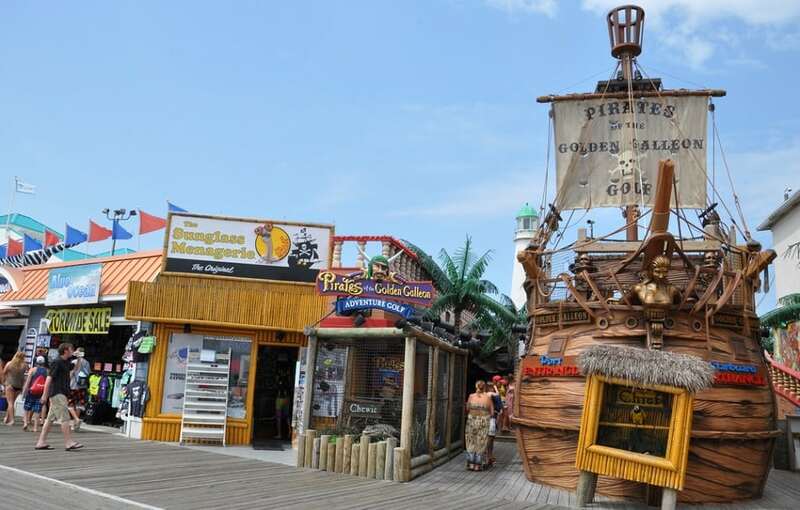 The 2.5 mile boardwalk in Ocean City has classic attractions and many newer additions. The 140-foot Ferris Wheel can be seen from miles around, with views of Ocean City and surrounding areas. There are also 11 miniature golf courses. Other boardwalk activities include enjoying the sunrise with a leisurely walk, a brisk jog, a bike tour, a ride on a surrey cart, or a meal at one of the many ocean front cafes.